After the success of ‘The Fault In Our Stars’, John Green novels became hot property among Hollywood studios, with the film rights to works like ‘Looking for Alaska’ being dusted off and readied for release and studios clamouring to find other Young Adult novels that make make the profitable transition from the page to the screen. This, however, is an adaptation of another Green novel that is produced by the same team as ‘The Fault In Our Stars’ and with the intention of continuing in the same vein. It even boasts a return from Nat Wolff, who played a supporting role in ‘The Fault In Our Stars’ but now has a leading role as Quentin ‘Q’ Jacobsen, a teenager enamoured with Margo, a girl who lives in a house opposite his, as played by Cara Delevingne. Although its plot sounds generic, Green puts his trademark twists on the story, utilising the phenomenon of the paper town, fake settlements placed in maps by companies who are seeking to catch out plagiarists who were simply copying them and making their own money out of them. It’s an interesting gimmick to work with, and one that Green weaves in to a tale about not imagining others as more than they are very astutely. The film also wrestles with this concept, though it maintains this ethereal atmosphere around Margo that dampens the message slightly, the film benefits from very strong performances by the trio of Nat Wolff, Austin Abrams and Justice Smith, whose chemistry and camaraderie takes over from the main storyline and becomes the best part of the film. Sure, we still care about Quentin and his quest for Margo, but it seems less important when he’s goofing around with his friends and having conversations that are wonderfully authentic. 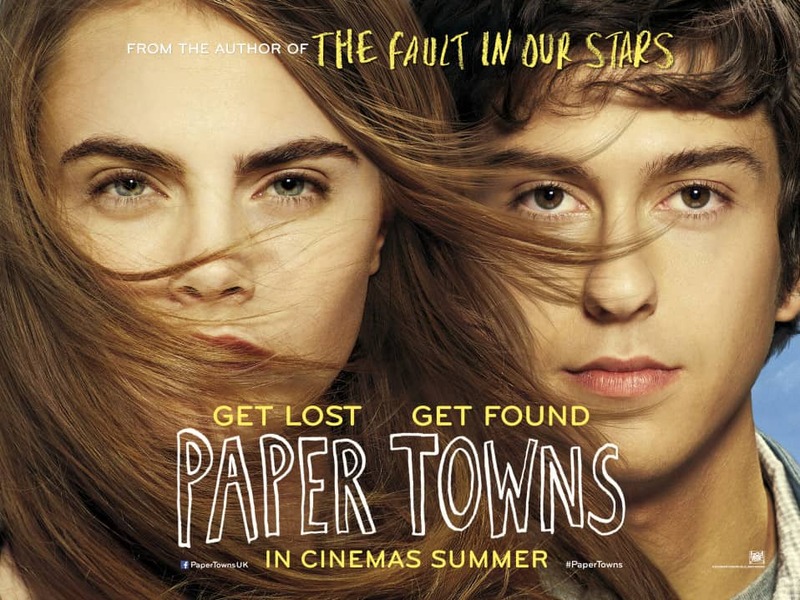 ‘Paper Towns’ may not have been as rampantly successful as its predecessor, but despite being a little uneven it manages to ensure that there are enough laughs and touching moments for it to be a thoroughly enjoyable ride.